This is a belated post…I forgot to post it on my brother’s birthday. It was a few weeks ago!!! I have two brothers…both of them engineers…both of them cute and funny. My brother John’s birthday is today. Normally my mom would have called him to wish him a Happy Birthday…she would have sent him a dozen flowery cards and she would have cried and called him “my Johnny”. She might even have sung Happy Birthday to him over the phone and she probably would have had a tear in her eye because he was not at home for her to fuss over. When we were little and had birthdays tons of my aunts and uncles lived in the town that we grew up in. It was called McDonald…now older and smartier…we call it McDonaldland. But…everyone would have been at our house for our birthdays. There would have been tons of stuff to eat…and a huge home made birthday cake with this white whipped kind of icing that I crave to this day. The cake would be in the middle of the dining room table and my dad would turn the lights off, the candles on the cake would be gleaming and everyone would sing. We would have birthday cards with money in them from all of our relatives and my Uncle Frank would always say it was his birthday, too, even though it wasn’t. That would be the way we would celebrate my brother John’s birthday. My siblings and I always told my mom that he was her favorite and it would make her so mad…not mad mad just funny mad. But I really think he was. He was very sick when he was born and I remember my mom just holding him and rocking him to make him feel better. He has a tiny little scar on his ankle from a blood transfusion that saved his life. My mom would do anything for him…she loved him so much. She always made extra meatballs when she was making her yummy pasta sauce because she knew he would eat 5 or 6 before we had dinner. And anything he did for her, she cherished. They had a very special sort of relationship. It was almost unbearable seeing my mom and dad not in their beloved home but he did it for them. 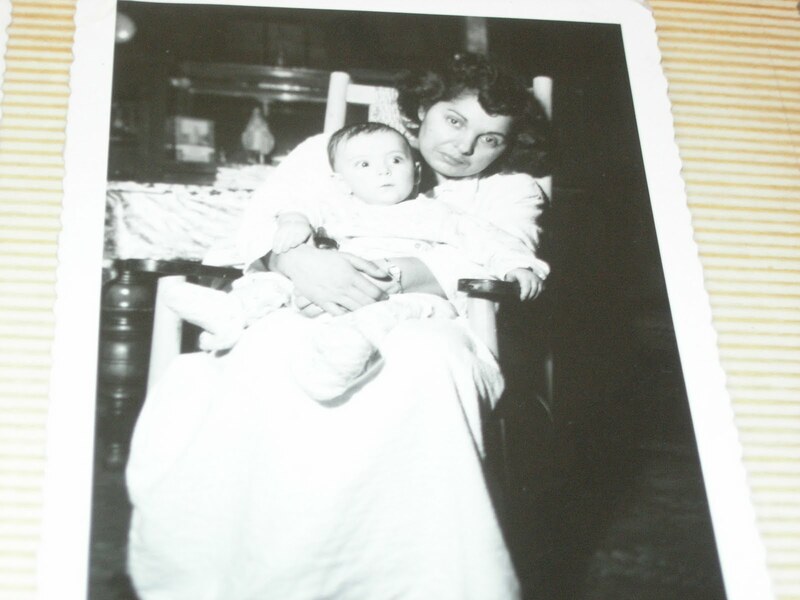 And again unbearable when my mom did not always know who he was…but he was always there. My brother John was always my protector…he helped me buy my first car but then we had a huge fight when he thought he could drive it whenever he wanted. My dad was mad at me for staying out late with friends. My brother John snuck me into the house in spite of how mad my dad was at me. When I was in college and worked at a summer camp in the mountains of North Carolina my first summer, he gave me my favorite James Taylor album on a cassette to take with me. I still have a little wooden log cabin that he brought me from a fishing trip. So…there always are so many things that make up the life of a family…we lived in a small town, went to college close by and grew up very protected. My brother John was the first of us to leave home…his first job was in Michigan and I still remember him sitting at the wheel of a huge UHaul van, with his furniture and possessions, ready to leave McDonaldland for his first adventure. My mom and I waved him off until we couldn’t see him any more and then we cried and cried. From that moment on he was always “ my John…the engineer”. They would save and savor and share his successes with all of their family and friends. So…I am not with my brother for his birthday but my heart is. I know my mom and dad are thinking of their wonderful smart son who fulfilled all of their dreams for him. What wonderful memories. I hope your brother makes it to see you. What a beautiful remembrance. God bless you, Patty…and John as well.